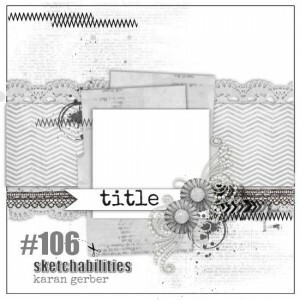 Sketch #106 at Sketchabilities is now live! For my example for the challenge, I decided to go with a neutral background and pops of blue, rusty orange and metallics to compliment my photo of my oldest son, Taten. 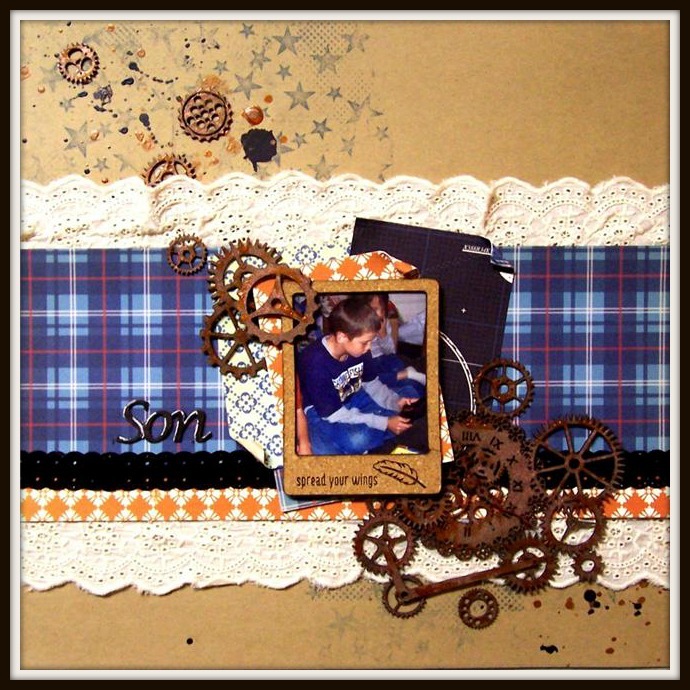 Love the plaid and gears – what a fun, rustic combination. Gorgeous work! Beautiful layout! Happy new year! I love how you used lace and the steampunk elements!